Results for category "Keys To Your Commute"
We unveiled our new Xpress South Operations & Maintenance Facility at our Ribbon Cutting Ceremony! 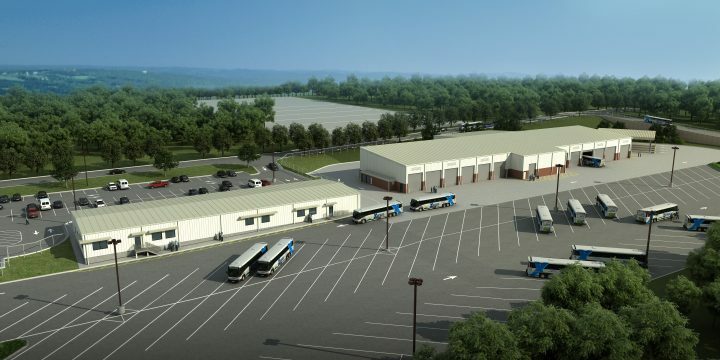 After years of hard work, this 38,000 square foot facility is now open and comes equip with tons of operational space for our growing bus fleet. This brand new facility also features sustainability and energy-efficient upgrades as well as state-of-the-art offices and meeting spaces. 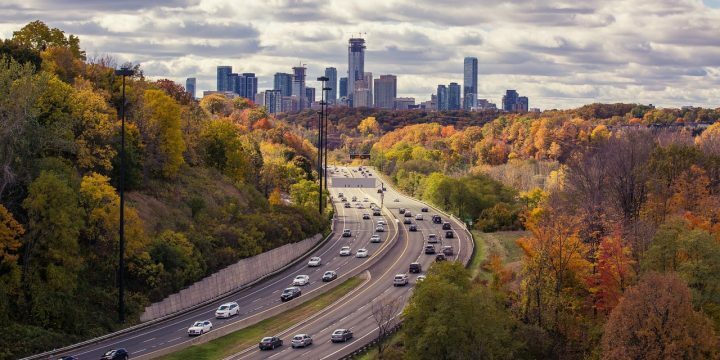 Not only is it expensive to live in a big city, but your commute can also put a dent in your wallet. Gas prices are higher in an urban area, and traffic can increase the amount of money that is spent on travel. Although this may seem nearly impossible while navigating through the city, there are several ways to eliminate spending a ton of money. Use transportation services. Always utilize commuter transportation services like Xpress. You will not only cut down on the costs of gas and car maintenance, but you will also avoid heavy traffic. Purchase your Xpress Pass today, and you will begin saving money right away. Take advantage of car insurance discounts. Check with your car insurance company to see if they offer any discounts and if you qualify for any of them. Many offer discounts to students who are excelling academically, members of certain organizations or groups, retirees, etc. Carpool. Does it make sense to have multiple cars leaving from the same area to reach a similar destination when the drivers can ride together? Carpooling is a great way to reduce commuting costs and eliminate traffic congestion. The key to saving more money while traveling within a big city is to plan ahead and plan smart. Use all of the resources that are available to you so that you can cut down on traveling expenses! MARTA is making a change to improve the quality of the Breeze card. The blue Breeze card is being phased out and will be replaced with a more secure silver card. Beginning on March 31, no new products or stored cash value for your Xpress fare can be loaded onto a blue Breeze card. They will no longer be accepted as of July 9. Xpress customers can still pay their fare using the new and improved silver Breeze cards. 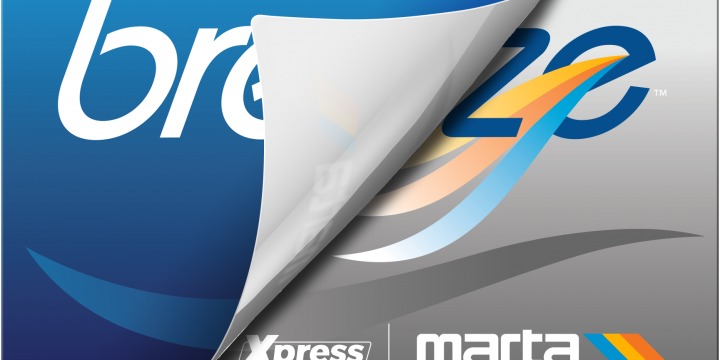 Xpress accepts Breeze cards on all of our routes. Using the brand new Breeze card will remain the easiest and most efficient way to pay your fare for metro Atlanta’s major transit agencies. Visit breezecard.com for more information. It’s starting feel a lot like … winter! Temperatures are beginning to drop, so it is important to prepare yourself for the wintry weather conditions. Inclement weather can cause a delay or other issues in regards to your travel plans. Therefore, it is helpful to familiarize yourself with safety tips and precautions before planning your commute. Before you head out on the road, make sure that your car is in great shape. To avoid freezing, check your anti-freeze and thermostat. Also, check the functionality of your brakes, windshield wipers, tires and other important features within your car. It is ideal to get a routine check on your car before or at the beginning of each winter. While driving in winter weather conditions, plan smart by leaving your destination ahead of time. Allowing yourself more than enough time to travel will give you the time to drive with caution and to beat heavy traffic. Before driving, be aware of potentially icy areas, sleet and freezing rains. 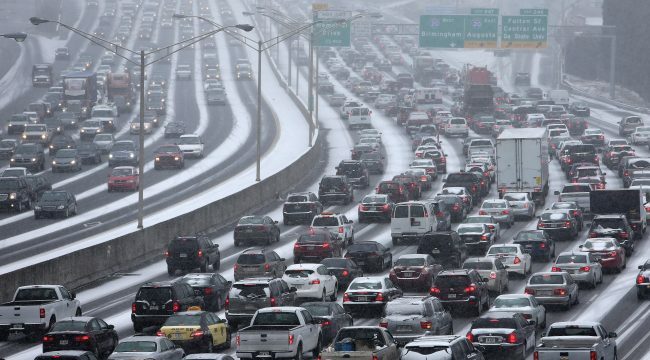 Knowing the weather conditions beforehand will help you determine the best plan of action for your commute. If you cannot avoid driving in icy or snowy areas, take it slow. Refrain from speeding and driving in close proximities to other vehicles. In the case of an extreme emergency, it is always best to have a winter driving safety kit that is easy to locate in your vehicle. In your kit, you should have items such as a flash light, blankets, a first-aid kit, bottled water, nonperishable food items, jumper cables, etc. Be sure to also have a spare tire available along with a tire repair kit. Ride Xpress to help eliminate the risk of weather-related car issues. 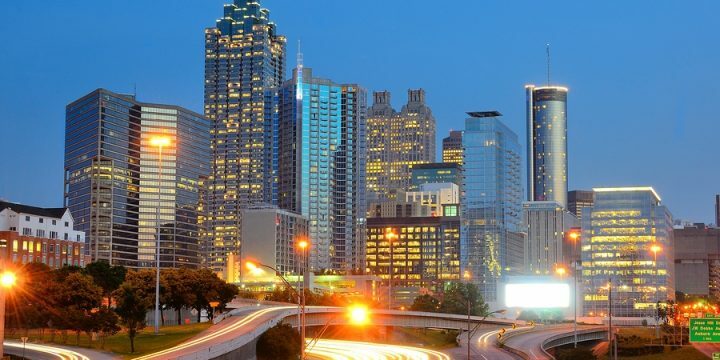 Letting Xpress take the wheel, will ensure a safe and fast ride to your place of employment in Downtown, Midtown, Buckhead or Perimeter Center. Always remember to use safe and smart driving practices during the cold winter months, so that you can fully enjoy the holiday season! During the holiday season, Atlanta is the place to be if you want to experience the true magic of Christmas! The city beams with Christmas lights as people fill the streets spreading their holiday cheer. In such a radiant city, there is always something for the entire family to enjoy, especially during this time of year. Whether you are into ice skating or sightseeing, you will find some holiday fun in the city! Explore a million lights and beautiful displays in the garden for their annual Christmas light exhibition which will continue until January 7, 2017. Tickets can be purchased here. If you’re looking for a thrilling holiday experience, visit Georgia’s most famous amusement park which will be decorated for the holiday season. Tickets can be purchased here. For all of the ice-skating lovers, Atlanta’s largest outdoor skating rink is now open and will continue until Valentine’s Day. Tickets can be purchased at the venue. For more info, visit skateatlanticstation.com. To experience an underwater winter wonderland, visit this fun festival and enjoy multiple family-friendly, holiday events from now until January 1, 2017. To explore the different events and purchase tickets, visit georgiaaquarium.org. Atlantic Station isn’t the only place that offers ice skating! Come to the heart of Downtown Atlanta and have some fun at the Centennial Ice Rink while also enjoying the beautiful holiday lights. Tickets for the ice rink can be purchased here. If you’re into live performances, catch Atlanta’s most talented puppets as they present their very own rendition of this classic television special. Showing times will continue until December 31. Tickets can be purchased here. If you attend any holiday events in Atlanta this season, tweet us your pics at @XpressGA! 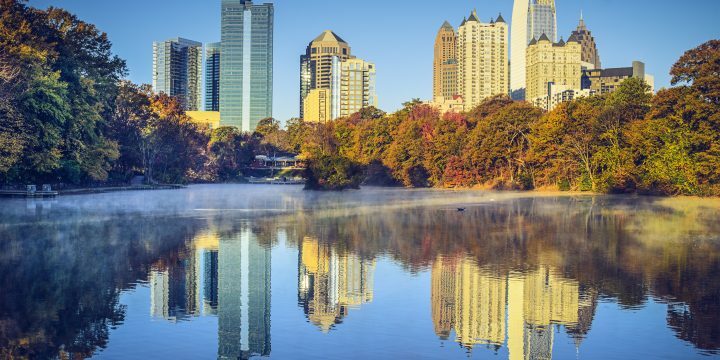 It’s going to be an extremely busy weekend in Atlanta for Labor Day Weekend. This Thursday and Friday, we are expecting an increased traffic volume during the afternoon commutes. Fantasy and sci-fi geeks take over downtown Atlanta each year at Dragon Con. And the multimedia pop culture convention isn’t just for gamers—it also celebrates art, comics, music, and film. The 10th annual festival has book signings, readings, and lectures by more than 600 authors, including keynote speakers Erica Jong and Roxane Gay. A Marietta tradition since the mid-1980s, this free event features a chalk art display, artist’s market, and a children’s art alley. Expect dancing, karaoke, block parties, film screenings, poetry slams, and more at this weeklong event. Stone Mountain Park puts on a special laser-and-fireworks show dedicated to “everyday working heroes” every night of the weekend. The world’s largest aquarium is open during special hours for Labor Day weekend, so you can watch sea creatures swim by until 11:00 p.m. Hop in the basket for a ride (or check out the evening “balloon glow”) at Callaway Gardens. Lovers of soul, house, and Afrobeat music flock to this 4th annual DJ festival in the Old Fourth Ward. Head to the Grant Park pavilions for this free dance party with live DJs. The Auburn Tigers face the Louisville Cardinals at the Georgia Dome. This year’s race is dedicated to raising awareness about cystic fibrosis. Be sure to pace yourself—there’s a party at the end. Find special dining deals at spots like Bantam and Biddy, Bellwoods Social House, Cooks and Soldiers, Community Smith, The Pig and the Pearl, Ecco, and more. Come for the mouth-watering food, stay for the music acts (including 1990s hit reggae performer Maxi Priest). The charity event benefiting the PATH Foundation features premium booze and live tunes.